Operate a business, a consulting firm or work in public administration. Promote the development of research. 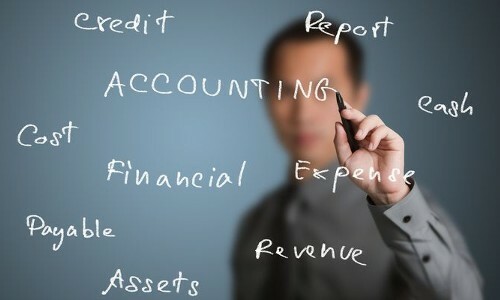 The minimum duration of the program for the award of the MSc “Applied Accounting and Auditing”, is defined in four (4) semesters of which the three (3) are available for the courses and the fourth for the preparation of the Thesis. The Postgraduate Program in Applied Accounting and Auditing is accredited by the Hellenic Quality Assurance and Accreditation Agency (HQA), the Association of Chartered Certified Accountants (ACCA) and the Institute of Chartered Accountants in England and Wales (ICAEW). It is designed to offer both the specialized knowledge and skills in the disciplines of Auditing and Applied Accounting. The aim of the program is to promote knowledge by creating skilled professionals that could provide their services as certified accountants and auditors in both the private sector and the public administration. (b) the Institute of Chartered Accountants in England and Wales - ICAEW, (D) the Institute of Internal Controls (IIC) as the Certified Internal Auditor-CICA, creating the appropriate conditions for the development of both the academic background as well as the professional training that will lead to a successful career in auditing and internal control. To obtain the Postgraduate Diploma the student must attend and successfully pass a total of fifteen (15) modules. During the fourth semester students prepare for their Master Thesis. The postgraduate courses are structured as a combination of synchronous and asynchronous learning methods. The duration of studies is four (4) semesters (three (3) semesters of teaching and one (1) semester of diploma thesis.